Fred joined RAA as a Vice President, Financial Consultant in 2017. 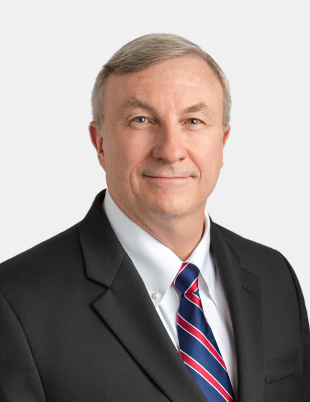 Prior to joining RAA, Fred served as Managing Principal at Resource Navigation Partners, Inc. He completed over 34 years of service at Delta. During his tenure, Fred was a Captain instructor as well as a member on ALPA’s Retirement and Insurance committee. With years of industry experience, Fred’s focus is to assist his clients with their financial planning needs and help them reach their short and long-term financial goals. He has a degree from the United States Air Force Academy and post-graduate work in accounting, and continues his accreditation in life and long-term care insurance. In addition, he earned his AIF® (Accredited Investment Fiduciary) designation, and applies that fiduciary standard to every aspect of his work. Fred is an active member of the community and works with numerous local charities.